ADHD Coaching is all about empowering you. Whether you're dealing with ADHD, anxiety, or high emotional sensitivity, whether you need help with your child, your teen or yourself, you can learn how to stop crisis-managing and start living. No one has ever won the gold on their own. ADHD Coaching gives you the knowledge, support, guidance and positive messages that will help you overcome the obstacles you face so you can achieve your best. ADHD and its various cousins — like impulsivity, anxiety, depression and oppositional defiance — manifest themselves differently in different people. What worked for your nephew might not work for your son. ADHD Coaching focuses on your family, your issues, your individuality — so you can unlock the unique abilities you have to effect the changes you want to see. Every cloud has its sun. Restlessness is a sign of energy. Impulsivity is a sign of spontaneity. ADHD Coaching shows you how to take qualities that appear as weaknesses and turn them into real strengths. When I look at my life the way it was before going to Levi Yitzchok and afterward, there is just no comparison. He has a knack for getting straight to the point - no psychobabble here! - so that you see results very quickly. His intuition, sensitivity, and the fantastic imagery he uses have made a huge impact on every area of my life: first my job, then my family and most of all between me and myself. Whether you are or aren't ADHD, I would say that Levi Yitzchok is hands-down one of the most helpful counselors you could see. Levi Yitzchok and his ADHD Coaching helped our son and us really understand ADHD and how best to deal with it. He prevented a lot of heartache. Our son had been kicked out of school for the afternoon classes. After starting sessions with Levi Yitzchok he was re-accepted — and the administration and staff are so much more supportive, something I never thought would happen. ADHD Coaching gives very practical tools which the neurologists don't mention. Levi Yitzchok has a very deep understanding and perception of people and walking into his room one feels warmth, positivity and acceptance. We thought we were going for our child but we've gained much more that has helped our whole family. I think every institute should use his services. They'll only gain from it. 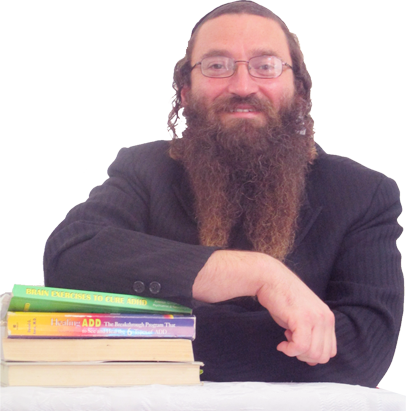 Levi Yitzchok Albert has really helped my son grow and become successful at school and at home. He went beyond the time paid to help my son find his voice and self- esteem so he could return to a school where they had almost given up hope. Levi Yitzchok helped both my spouse and me with extra coaching to understand the condition he positively named "normali-plus." He also helped our son's teachers understand the process in a professional, dedicated, clear way. I recommend his services and have much more to write and say. With blessings of success and appreciation from a loving father to a great light for the youth today. I have had the privilege of getting to know Levi Yitzchok over the last two years when we have taken courses and worked on projects together. Levi Yitzchok is extremely knowledgeable in his areas of expertise and is a very caring individual whom I often turn to for advice and support. What I find unique about him is that he doesn’t only know a lot about human psychology; he also has the ability to get across to all kinds of people and connect with them at a deep level in a caring, loving and upbeat manner. He knows how to create amazing positive feelings in his clients and in those around him. He builds up people from the inside thereby building a strong foundation for eventual growth. He’s also a real ben Torah with a strong yiddishe hashkafah, something he instills in his family and friends with his geshmak and passion for Hashem and Torah learning. I strongly endorse Levi Yitzchok and encourage anyone involved in chinuch or helping people professionally to get to know him and his work.